Moin further invited controversy after stating that silly comments were made from the other side. Former Pakistan cricketer Shahid Afridi is constantly making the headlines with his statements on Kashmir. He left Indians red face after he pointed out towards the atrocities committed by the Indian armed forces, which have claimed lives in Indian Occupied Kashmir in the latest wave of violence to hit the occupied region.Furthermore, after coming under intense criticism for his J&K comment, Afridi has fuelled the fire by stating he wouldn’t play in the IPL. Many cricketers have lashed out at the all-rounder for his statements and didn’t seem to be pleased. The matter had become so serious that even the ‘God of Cricket’ Sachin Tendulkar had to intervene. He made his stance clear and said that any outsider didn’t need to intervene in the issue. Indian skipper Virat Kohli, Gautam Gambhir, Suresh Raina also lashed out at Afridi on social media. However, Afridi seems to have found some support now. 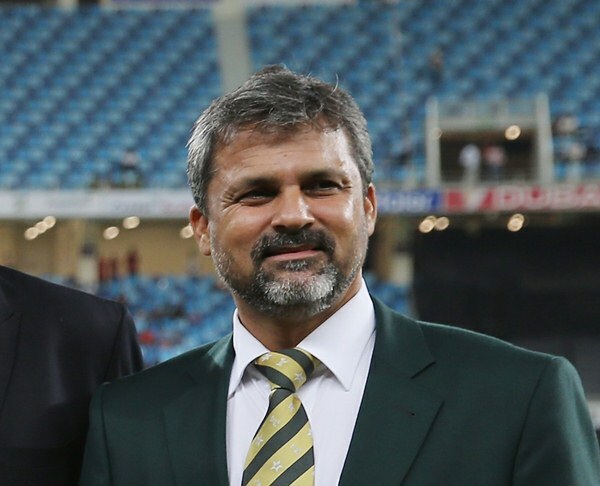 Former Pakistani skipper Moin Khan defended Shahid Afridi for his stance on Kashmir. Moin Khan has made it clear that they have a very clear stance that wherever there will be violence, they will stand against it. In an interview, former wicketkeeper-batsman Moin Khan said that players are also the citizens of the country. “We have a very clear stance that wherever there will be violence, Pakistani will raise voice against it,” Moin said. Moin Khan also opined that it was important to stand for humanity. “If the Indians are saying something else, I don’t know why they are saying this, because if we talked about humanity keeping Muslims and Hindus aside, there will no issue,” said Moin. “Shahid Afridi is running his own NGO, obviously he will feel the pain because he is doing work for humanity. That was a good statement and it is on right time,” he added. To everyone’s agony, Moin also made another controversial statement that the words of the Indians were silly. “Silly statements came from the other side were very disappointing,” he added. For more news and other stories visit Crictracker.com.